'Comeback D-3' Hong Jin young released first full album’s Highlight Medley! 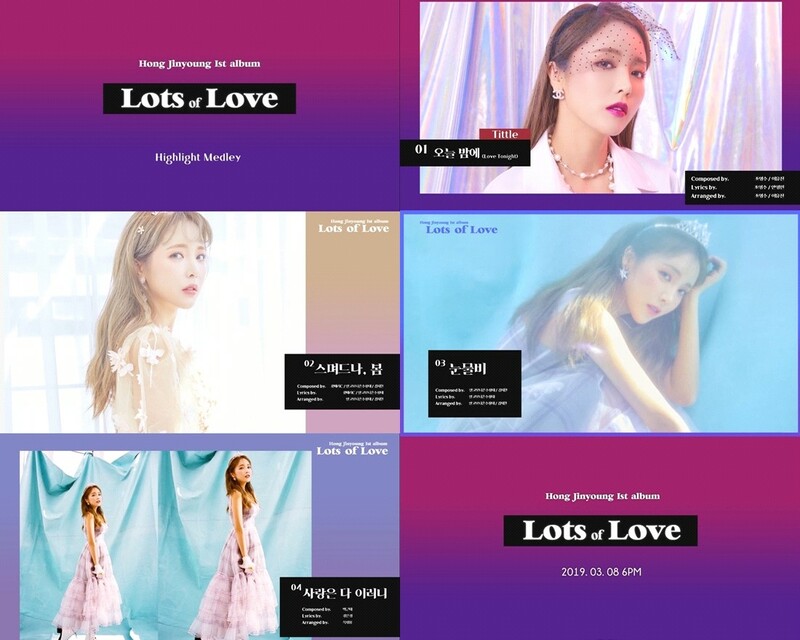 Hong Jin-young raised her expectations by releasing some of her first full length album's highlights medley videos, and new songs, which will be released on the 8th through the official SNS of her agency Music K Entertainment. It is the first full length album in 10 years since her debut song "Battery of Love" was released in 2009. In particular, the title song 'Love Tonight' is a retro-flavored trot that added disco pop sound to trot in the 80s, raising hopes that it will become an easy national trot for anyone to sing. In addition, the second album, "Lots of Love," is a song that Hong Jin young wrote in person, heralding the birth of a hit song following "Ring Ring", "Lots of Love" is a lovely song that combines acoustic guitar with simple vocals, reminiscent of Spring Day. said that she created an album with warm emotions and music that he didn't usually show. And the third song, "Rain Tears," is a slow tempo trot ballad song. With the dreamy performance of the harp and the cello, the mournful vocalist approaches with an impressive It embodies the sense of separation by expressing the feelings of a woman who cannot forget her loved one. Hong Jin young had been curious about her track list, she is planning to start her full scale activities on the same day at the Mary Hall of Seogang University with the release of her new song "Love Tonight" on the 8th.